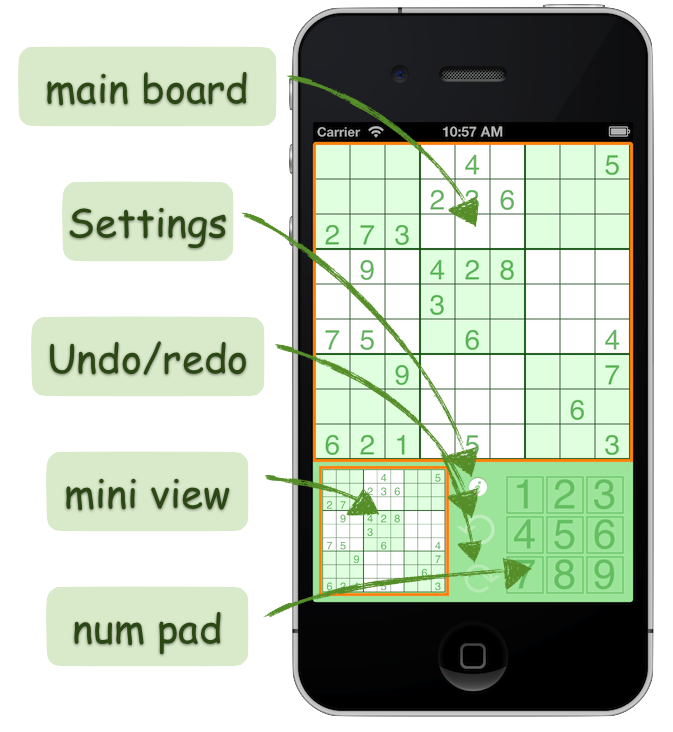 How to use our sudoku Apps! 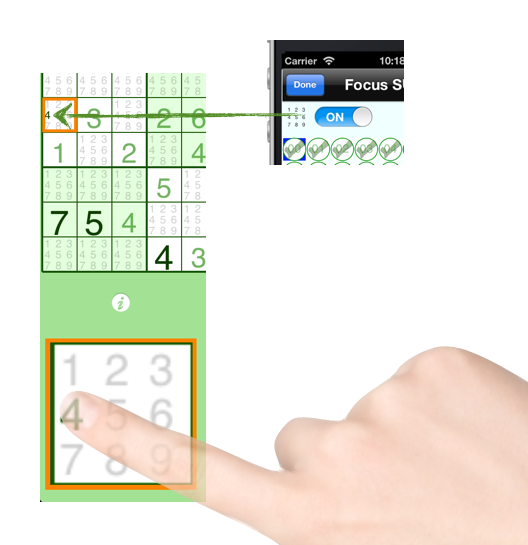 The screen-shots on this page are taken from an iPhone 4 version of Focus Sudokus. 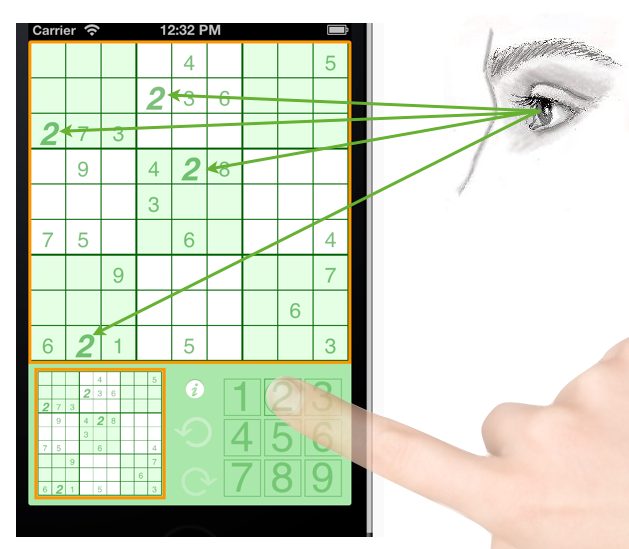 The App does not generate random sudokus. 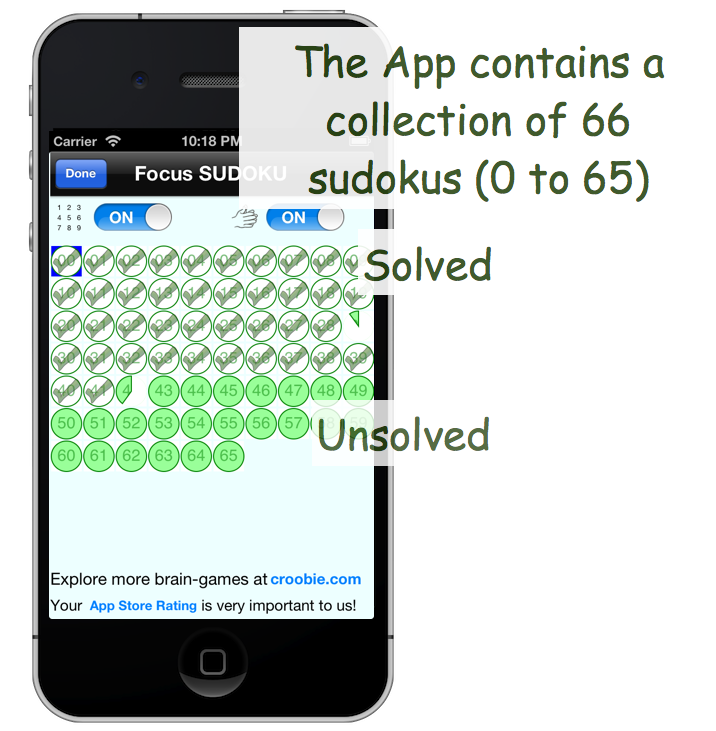 Instead, it contains a predefined collection of sudokus. Touch the settings symbol (i) to see this collection. Each sudoku is represented by a circle. Unsolved sudokus are represented by filled circles and solved sudokus by unfilled. To select a new game, touch a filled circle and then touch done. The mini view displays the selected cell or the entire board if no cell is selected. The purpose of the mini view is two fold. While you touch the main board, the mini view will display the area beneath your finger. This is a useful feature if you have large fingers or a small device. When no particular cell is selected (i.e., when the mini view shows the entire board), then you can use the num pad to hi light all digits of some kind.